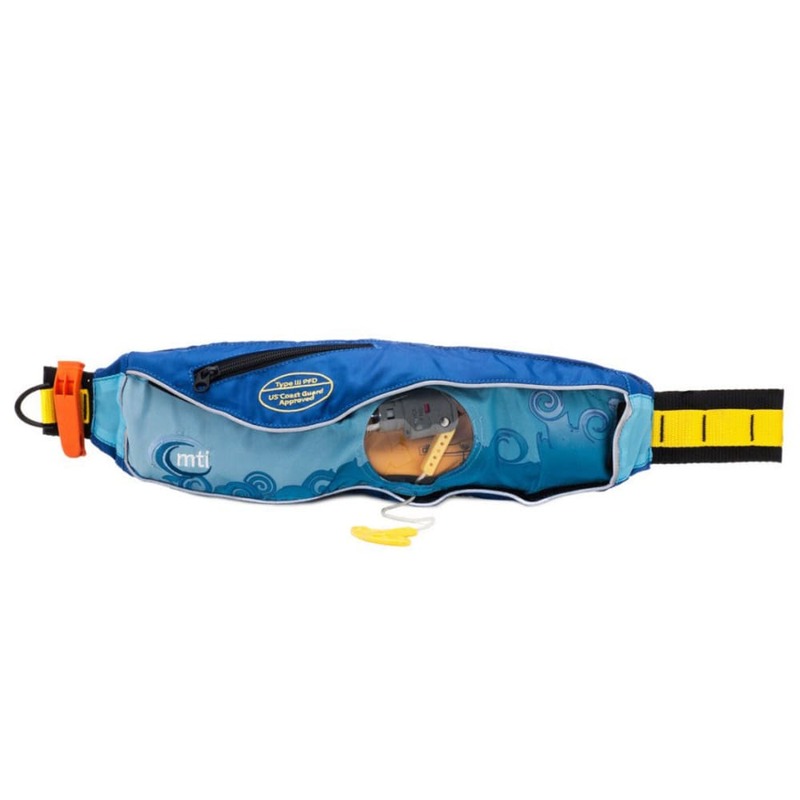 The Fluid 2.0 belt pack PFD is loaded with extra features for every kind of SUP paddling – including flatwater RACE and SUP YOGA. A body hugging design keeps the belt secure around your waist and 3D mesh padding is softer, cooler and quick drying. A zippered storage pocket on top lid provides easy storage for sunscreen or keys. This product ships directly from MTI and will leave their warehouse in 2-3 business days. Eligible for UPS ground shipping only.